What do Benedict Cumberbatch and I have in common? This will be the first time either one of us have attended Comic-Con International in San Diego. I have been a huge advocate for families playing video games together and the video game world is well represented at all Comicons not just the San Diego one. But the San Diego Comicon is where it all started. It is the Mothership of all Comicons. As a kid the only thing I loved more than Adam West's version of Batman was the Batmobile. I loved the scene when the baracade came down by remote control and the Batmobile would come flying out of what was a camouflaged tunnel. That was awesome. My favorite cartoon was Speed Racer. I loved Speed but even more I was in love with Racer X. 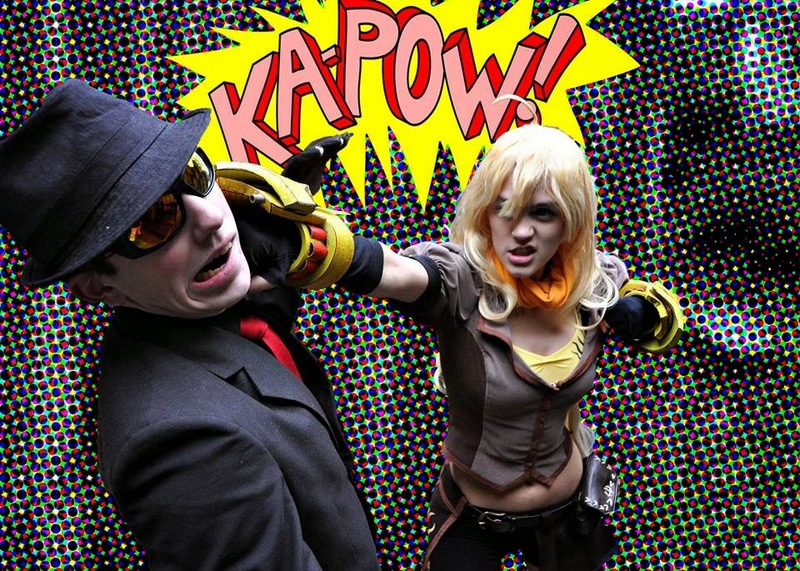 While Comic-Con started out in 1970 as a tribute to comic book and science fiction / fantasy film, it has evolved to be a massive celebration of Pop Culture. One of the first panels of this years event features Betty White. This totally appeals to this baby boomer but I do have to go back into the description and figure out what her connection with this con is exactly. 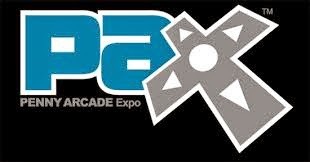 My first conference (or Con) in this world was the Penny Arcade Expo (PAX) in Seattle in 2009. I went because one of the kids really wanted to go but they were too young to go by themself at that point. I didn't really think this was going to be for me but I figured I would check out the early releases of the new video games that were being previewed. When I got there I found myself in the line for the keynote speaker, Ron Gilbert. I wasn't sure who he was exactly but I figured I would check this out. Once I had wound my way through the line I ended up almost in the back row but I had made it in. The stage was in site but there were also three rows of jumbotron screens between me and the stage to give everyone a birdseye view of the stage. The room was packed. Ron walked out to a roaring crowd and began a quiet but brilliant keynote speech about his life and Video Games as Art. I realized I was familiar with all of the games he had worked on but like so many games we played in the 90's I had never put a face to the mechanics of the game. I had been to a number of professional conferences of all kinds and heard a ton of keynote speeches but this one was one of the best I had ever heard. He spoke to and connected with just about every single person in the room. Ron Gilbert is about my age and spoke about some of the very same experiences growing up in a world where video games were just being discovered. Since then we have tried to get tickets to PAX and Comic-Con in San Diego but they both typically sell out within an hour of going on sale. It's tough. This past year our enthusiasm for the Con was reignited when my youngest got tickets to The Rose City Comic-Con. He cosplayed as Cecil Palmer from Welcome to Nightvale. It was pretty obscure and I was worried that no one would recognize him but he had a blast and people kept coming up to him greeting "Cecil". From there he went to Emerald City Comic-Con and most recently got back from RTX in Austin Texas. Cosplaying at each event. So, when my daughter asked if she could try and get tickets to the San Diego Comic-Con earlier this year I said Sure! I figured it would be like the previous years. We would get into the virtual line and they would sell out before we got to the ticket counter. I was getting used to that drill. But one hour after the tickets went on sale I got a text from her "We're In!" We had tickets! WHAT! So that's how it all started. And now we are on the countdown. What a fun mom/daughter trip! Looking forward to seeing pictures from the event. You are going to have so much fun. PLEASE, PLEASE, PLEASE meet Benedict Cumberbatch..have photos taken and then share with me so I can live vicariously through you! Can't wait to hear more about it. I went to my first San Diego Comicon in '88. No problem getting tickets back then. Only star I recall being there was Jimmy Doohan (the ORIGINAL Scotty) and I was so shocked he didn't have a Scottish brogue. Kaytie will WORSHIP you if you get anywhere near Benedict Cumber-Dragon. She'd convinced she'll meet him while we're in London next year and he'll fall in love with her. Ah, youth!